You don’t notice some things until it’s too late…like the burnt burgers on the grill or the leaves overflowing from your gutters. That’s often how commercial roof maintenance goes, too. It’s often ignored until there are buckets littering the floor, catching drops of water falling from the ceiling. We’d guess this happens because people are intimidated by the idea of developing a proactive roof maintenance plan. How often should my roof be evaluated? What’s the typical cost of repairs? Does it truly save money in the long-run? The fact is: Roof maintenance can seem like a vague concept that people tell you is important but have a hard time explaining. “You’ll save money,” they say. And, you know it’s true, but you have a hard time taking any action because you’re not sure how much you’ll save, or if it’s worth all the effort. That’s where MAXCare® comes in. We know roof maintenance can get confusing. And, too often, people try to sell you on vague concepts without clearly explaining how they will help you or save you money. We created MAXCare so you could get a clear understanding of your roof maintenance plan—and how much money it could potentially save you. MAXCare is different from Maxwell Roofing’s regular service and maintenance offerings in the way that Maxwell provides reactive daily response to roof maintenance needs, where MAXCare stands apart in its proactive, relationship-driven approach to roof maintenance that is built around an asset management. “Through the MAXCare program, you increase the return on investment in your assets. With roofing, that return is most prominently affected by extending its life or reducing operating costs over its life,” says John Maxwell, President of Maxwell Roofing & Sheet Metal, Inc. “The real value of MAXCare is partly dependent on the stage or life cycle of the roof and can often depend on the construction being correct and complete, if the damage was caught early and corrected, if the roof was monitored and cared for from day one, and if the roof gets a lot of traffic. When customers invest in MAXCare early on, there’s great value in having document intelligence of all these matters to help maintain the roof’s current life cycle and inform any future changes or needs,” he adds. MAXCare helps you say goodbye to vague statements like, “You’ll get a few more years out of it.” We’ll forecast, as clearly as we can, future repairs to your roof, along with a prediction of costs and general timeline. As a bonus, our MAXCare portal lets you report leaks, check the status of work orders, and review invoices, so you can stay up-to-date on everything related to current and past work. MAXCare members also get discounted rates on other Maxwell Roofing services. 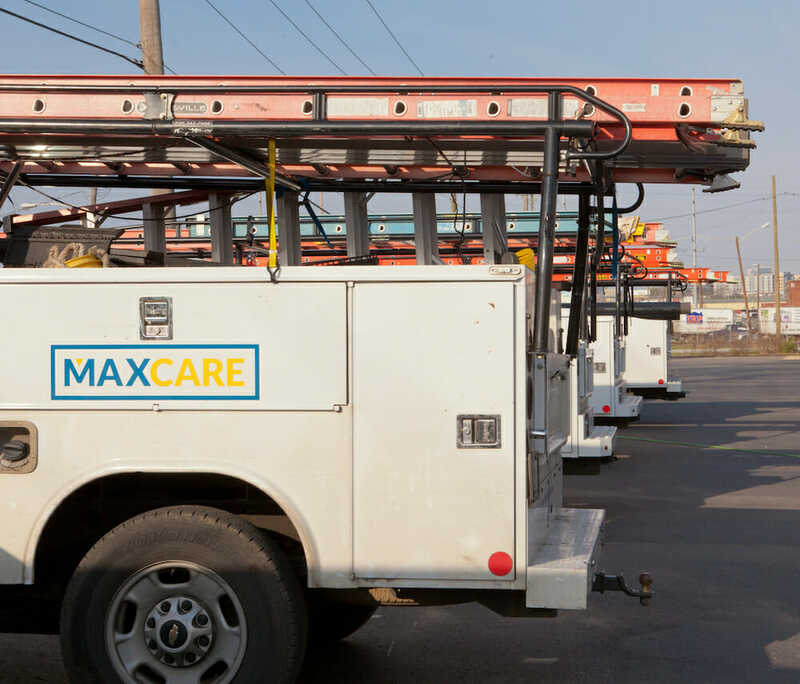 While MAXCare may not be the right fit for every commercial roofing partner, it can be greatly beneficial for property or industrial managers who are responsible for maintaining multiple buildings, roofs, and units. Though it might seem like you’re paying a bit more in upfront costs, MAXCare can save on overall maintenance costs in the long-term, and it can be greatly beneficial in proving your attentiveness to roof maintenance if ever faced with a complaint of negligence. “If you’re looking to break away from a run-to-fail model, MAXCare is right for you,” affirms John. “A run-to-fail model doesn’t cost much to operate, but there’s always a surprise factor that appears,” he adds. Is MAXCare Right for You? MAXCare is a result of our years of experience in the field and our desire to make roof maintenance as simple as possible for our customers. With MAXCare, you don’t have to guess. We take the effort off your plate and consolidate all your roof maintenance needs into a simple online portal. If you’re interested in learning how MAXCare might help simplify your roof maintenance program, just click here to contact us.